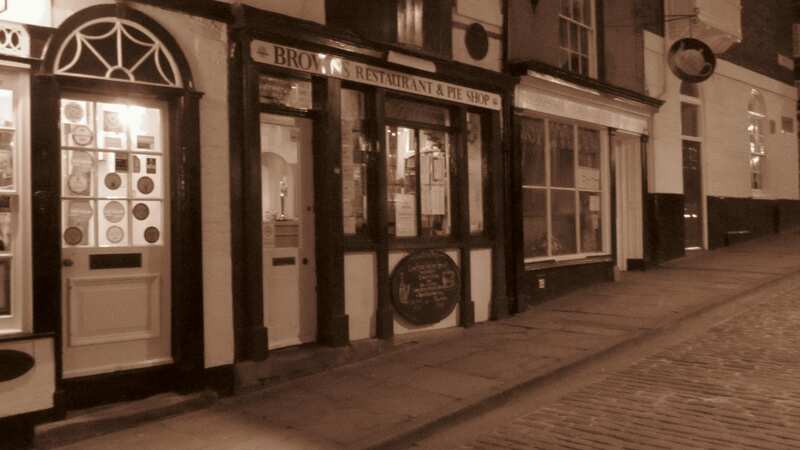 This lovely restaurant at the top of Steep Hill is haunted by what is probably one of Lincoln’s most famous ghosts. Humphrey has been featured on the tv programme ‘Most Haunted’, and on this has been known to contact Derek Acorah. Humphrey is believed to be a young boy, but has only been seen by one person who complained about staff letting children run around the restaurant while she was dining in there alone. There were no children in the building at that time. It is not known why Humphrey haunts the place but he has been known to get up to all sorts of mischief, particularly if the person he is haunting refuses to acknowledge him. This was particularly found out by one of the chefs who worked at the shop and used to be alone in the building for at least the first hour of every shift. He would often hear noises of somebody running around the building but on further inspection there was nobody there. One day he went to investigate the noises more thoroughly but could find nobody, however, when he re-entered the kitchen pots and pans had been moved around from where he had previously left them. Being a little scared by this he said ‘Don’t mind me Humphrey.’ At which the sounds stopped. The attic is also said to be haunted by the sound of money being counted and then dropped, as if a thief had been discovered with the money. It sounds like it rolls across the floor and then stops abruptly. Little of interest is known about the history of Brown’s. The current building is believed to have been built in the late 17th Century with some renovations to the front made later to make the building more attractive. The building’s excellent situation within the city means that there were probably buildings on this site preceding this one for hundreds of years beforehand. Before 1800 the building was a pub known as the Fox & Hounds but the building itself is probably best known for playing host to T. E. Lawrence, (also known as Lawrence of Arabia,) while he was serving at RAF Cranwell and wrote the ‘Seven Pillars of Wisdom’ at around this time, so it is possible that some of this book was written in Brown’s itself. Sadly the only ‘weird’ noises I heard throughout my meal and drinks were coming from the kitchen and, although I didn’t go and check them out myself, I was assured that the person making them was perfectly alive and well and was merely expressing their liveliness through ‘song’… Perhaps our readers have had a luckier time with little Humphrey?